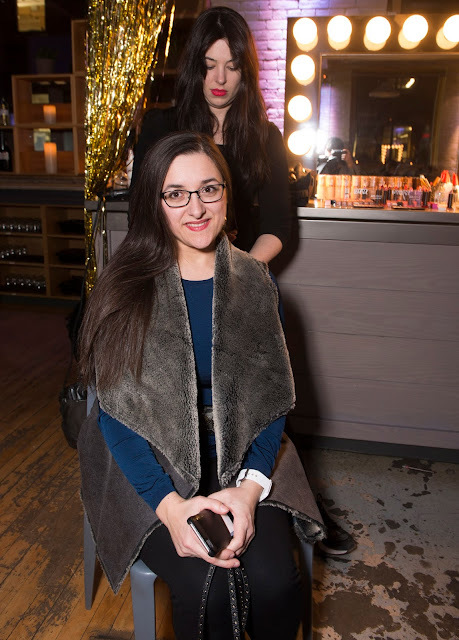 Last month, I joined fellow P&G mom and beauty bloggers at an exclusive GRAMMY Awards viewing party hosted by ET Canada Entertainment reporter Sangita Patel. 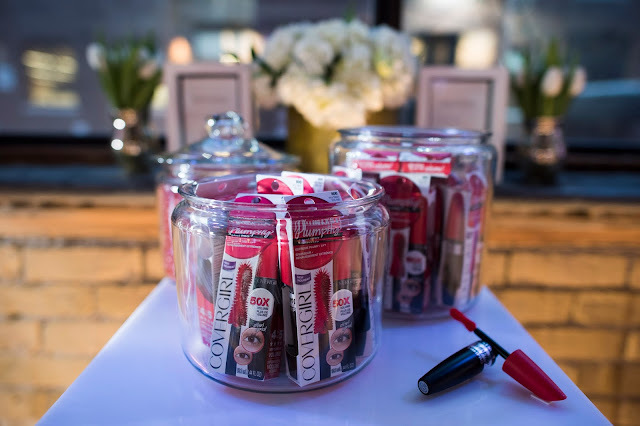 Joining in the festivities were Pantene Pro-V Consulting Stylist Justin German and COVERGIRL Makeup Pro Veronica Chu, who gave us some beauty tips on how to create a custom beauty look inspired by the GRAMMY red carpet. One of the top celebrity looks of the evening was none other than the newest COVERGIRL, Zendaya. Throughout the evening, guests enjoyed hors d'oeuvres in a relaxing setting, as well as a complimentary beauty touch-up thanks to COVERGIRL and a very talented makeup artist who truly believes that less is more. I showed up at the event with no makeup at all, in fact, since I only had time to moisturize using Regenerist Moisturizer by Olay before my ride showed up at my door. Luckily, I was glamified with a beautiful red carpet look that required minimal TruBlend foundation with some blush and focused more on making the eyes pop with TruNaked Eye Shadow and Eye Liner. 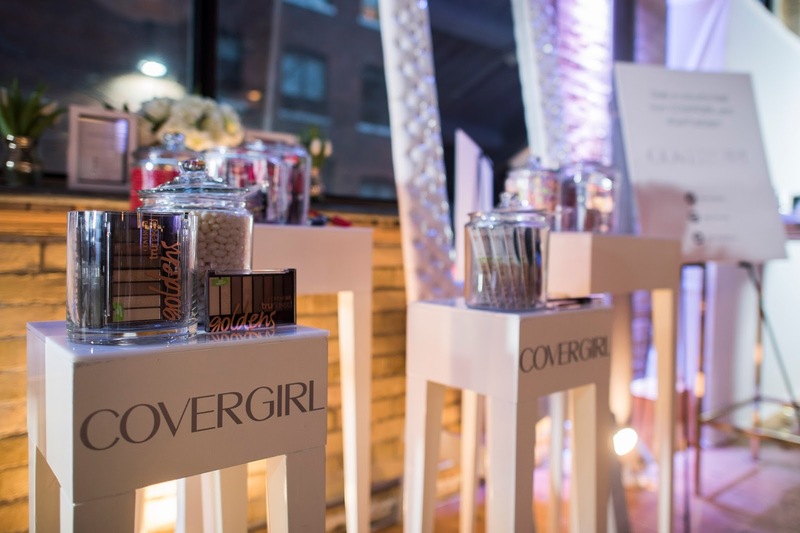 The makeup genius finished the look with one of his personal favourites, COVERGIRL Plumpify Mascara. And we can't forget the Oh Sugar! Moisturizing Lip Treatment for an extra pop of colour. I absolutely love that it is infused with grapeseed oil, avocado butter and Vitamins C and E.
Next, I enjoyed a red carpet salon treatment that brought my hair out of hiding. Goodbye, ponytail. Hello, smooth and straight! With a little help from a flat iron and Pantene Airspray, a flexible hold formula free from alcohol, I was ready to show off my long very long locks of hair. Are you ready to say goodbye to winter blues, let your hair flow, highlight your eyes and give your lips a treat? Simply complete the Rafflecopter form below. Photos courtesy of P&G Beauty. P&G has only provided me with the product that I am using as the prizes for this contest. The contest is not otherwise endorsed, designed and/or administered by or associated with P&G. By entering the following contest you are accepting that, if you win, your contact information will be shared with a P&G PR and shipping agency for the purpose of mailing your prize. Please allow 4-6 weeks from the contest closure date to receive your prize. This giveaway may appear on other blogs as part of the #PGmom/#mamanPG program. However, to be fair, you can only win once per giveaway. If your name is chosen more than once, another winner will be selected. All winners must be from within Canada, excluding Quebec. I'd like to try to the Tru-Blend face primer. I am most excited to try the Trunaked Shadow Palettes. I really want to try the Pantene AirSpray. I HAVE NOT TRIED THE ◾TruBlend Foundations SO I AM MOST EASGER TO TRY THAT. I would love to try the Oh Sugar! Moisturizing Lip Treatment! I have recently become obsessed with lip colour and this would be a great addition to my collection! I'm interested in trying the Oh Sugar! Moisturizing Lip Treatment. I love lip products! I would like to try the trunaked eyeliner duos. The eye shadows, and your hair grows very fast since you cut it short. I would like to try the trunaked Shadow Palettes. I like all the brown and beige shades in it. I would love to try the TruBlend Foundations!! I really want to try the TruBlend Blush and Bronzer. I'm excited to try the Oh Sugar! Moisturizing Lip Treatment! I'm interested in trying the Oh Sugar! Moisturizing Lip Treatment!!!!! I'd love to try the trublend primer. I would like to try the Oh Sugar! Moisturizing Lip treatment. I'd love to try the eyeshadow palette! It's gorgeous! Dying to try the TruBlend Foundation! I am most eager to try the Pantene Airspray. Thank you for the giveaway! I would most like to try the Pantene Airspray. I would love to try the trunaked Waterproof Eyeliner duos. I want to try the eye shadow palette the most. Most excited to try the TruBlend foundation. I am most anxious to try the Waterproof Eyeliner Duos, eyeliner is my makeup must have! trunaked Waterproof Eyeliner duo is one I am most eager to try. All the products look great! I'm excited to try their TRUNAKED WATERPROOF EYELINER DUOS. I'm excited to try the trunaked Shadow Palettes- so pretty! I'd like to try the eyeshadows - those are such versatile colours! i want to try the Oh Sugar! Moisturizing Lip Treatment. I'm looking forward to trying the lip treatment. I would like to try trunaked eyeliner duos. I'd like to try the Oh Sugar Lip Treatment. My lips always need extra help in winter! I'd most like to try the Oh Sugar Lip Treatment! I'm excited to try the trunaked Shadow Palette. I'm most eager to try the Pantene Air Spray. Would love to try the "Oh Sugar"! The blush would be lovely to try...I need a new blend for the Spring/Summer! I'm most eager to try the Oh Sugar! Moisturizing Lip Treatment. I'm eager to try the TruBlend Primer. i am eager to try Oh Sugar lip treatment!! I want to try the eyeshadows. I really like wearing neutral eye shadows so I'd be most excited to try that palette. I would love to try Trunaked Waterproof Eyeliner Duos. The moisturizing lip treatment would be great! I would love to try the blush and bronzer! I would like to try to the Tru-Blend face primer. I am most excited to try the trunaked Shadow Palettes! 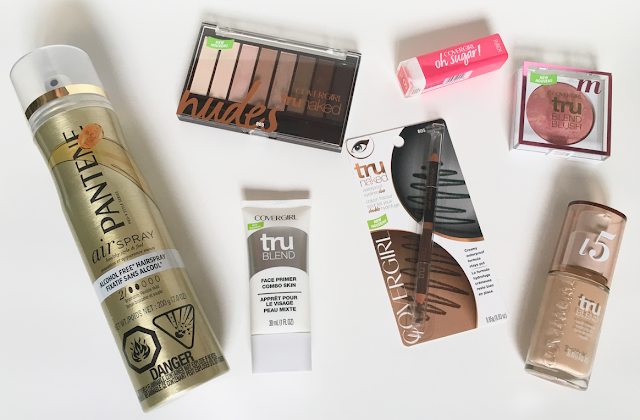 I'm interested to try the tru blend products! I would love to try the Pantene AirSpray. I want to try the Oh Sugar Moisturizing Lip treatment. I'd love to try the Oh Sugar! Moisturizing Lip Treatment! I am most eager to try the Oh Sugar! Moisturizing Lip Treatment. It sounds great! I'd really like to try the TruBlend primer.